​Chelsea's record-breaking summer addition Kepa Arrizabalaga has revealed that his Spanish national team teammates Cesar Azpilicueta and Alvaro Morata have been helping him to settle into his new life in England. The 23-year-old Basque stopper joined ​Chelsea late in the summer transfer window for £75m - a world-record fee for a goalkeeper. However, in an interview ​AS ahead of the international break, he has insisted that the fee will not become a burden. When asked is he feels the weight of expectation on his shoulders from being the world's priciest keeper, Kepa replied: "No, I focus on my myself and my game. "It is a price that is the way it is because the market is like that too. Higher and higher figures are being paid and I see it as a consequence of the market. "I’m happy for all the effort that Chelsea has made because it’s not easy to pay those amounts and I’m looking forward to returning it on the field." Now four games and two clean sheets into his new life at Chelsea, the former Athletic Club keeper also revealed (somewhat unsurprisingly) that it is two of his fellow Spaniards at Stamford Bridge who are helping him to settle. Good victory before the break of Premier. Three more points. Come on Blues. He said: "It is important that there were teammates in the team that I already knew before: Azpilicueta, Morata. "With their help it is easier because entering a new changing room where you already know people does everything faster." 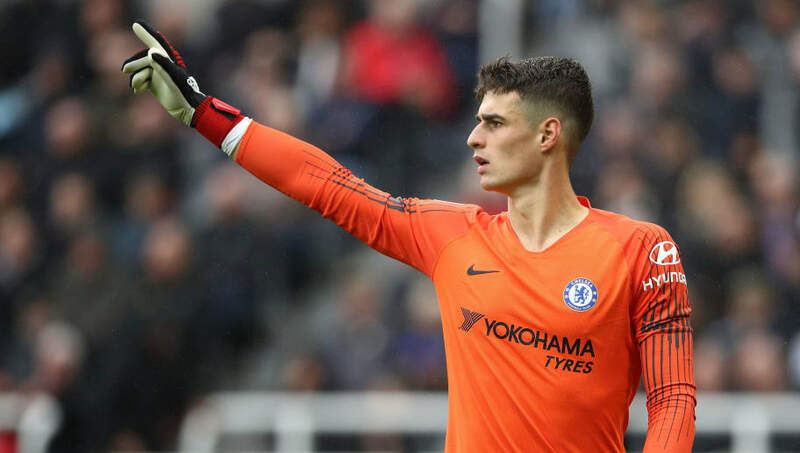 Asked why he eventually said yes to Chelsea after recent interest from many of Europe's top clubs, Kepa added: "It (Chelsea) is a great club, which in recent years has won the Champions League, Europa League and the Premier League. "It’s a team with great players. It was an important bet and I am happy to take this step, I want to enjoy it."